Everyone loves a good story. Stories delight, motivate, challenge, anger and touch us. They are the reason we binge on countless hours of television programs and stay up late on weekdays with our face buried in books. Storytelling is all around us. So why is storytelling still not the number one instrument used to drive engagement? Storytelling is a powerful way to communicate your message. We truly believe that when done right, storytelling can make your online video more engaging, more enduring and more inspiring in a way that promotes your brand. We may be slightly biased as we are suckers for good storylines, but that shouldn’t take away from our mission to help share our storytelling excitement and knowledge through this blog. Let’s start with the basics, what exactly is storytelling? Storytelling is the way of communicating a message in an entertaining and memorable way. It is used to create an emotional investment between you and your audience. The ideal goal is to make your viewers pay attention to your story rather than the product or service you are pushing. 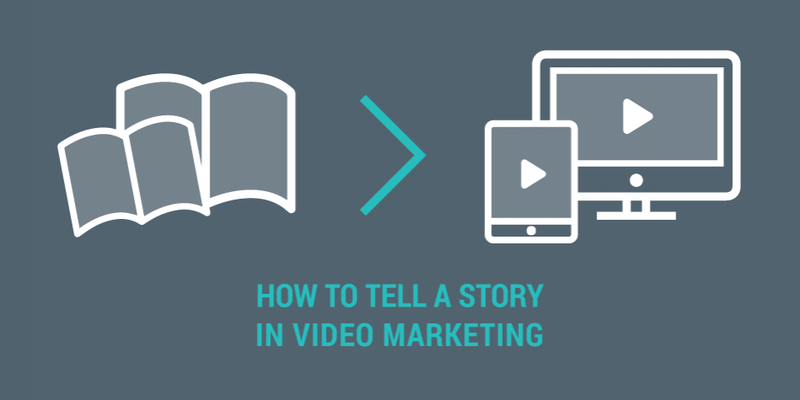 Storytelling in video marketing is nothing new. While many brands have used stories to drive their adverts, there are still tons of videos out there that haven’t taken on board just how effective storytelling is in your video marketing campaign. Below are 4 reasons why you should definitely have a story to drive your online video. Stories have that human touch. They connect with human experiences and evoke emotions. Standard marketing campaigns simply can’t. There are no limits when it comes to stories. Express your story in different ways and share it on various platforms. Use your story to show how your product or service solves a problem. Demonstrate how your products or services work, rather than shouting the benefits, allowing the viewers to make their own conclusions. Stories help drive imagination. You don’t have to have a definite ending. Your audience will want to know what happens next. Time to get started on the hard fun part; Telling your story. As a marketer, you don’t only want to tell a story, but rather use it to achieve your set goals. Here are our top 5 tips to get you started on creating an excellent storyline. ‘Show, don’t tell’ is a writing technique adopted by many story writers enabling viewers to see what’s happening rather than being told. The approach is considered to be so valuable as it heavily relies on your audience’s imagination. Want to know the secret to show, don’t tell? Lead your audience into making the conclusion that you want them to make. Even if writing isn’t your forte, you can still turn your online video into a fascinating marketing campaign by following the show, don’t tell technique. For example, If I had to describe the Rock ‘n’ Roller Coaster (Disneyland Paris) as having ‘’3 harrowing inversions’’ and ‘’ travelling at lightning speeds of up to 92 km/h’’, the first thing that probably pops into your head is ‘’exciting’’ ( if you are a thrill seeker). I could have gone into great depth about how exciting the ride is, but by giving you the opportunity to choose a conclusion yourself, you are more likely to believe it. We aren’t just reciting a sworn testimony. Honesty should play a major role in the story of your marketing video. That doesn’t mean your video can’t promote imagination and creativity. When it comes to telling a story, your audience needs to be on board with what’s happening. If you are promoting a fictitious story, as part of your overall marketing campaign, then make sure your audience knows that it’s not true. The last thing you want is to claim a story coming from a real customer and being found out. It not only ruins your marketing campaign but can badly damage your brand image. Are you confident about your storyline? Register today and bring your story to life with a free Moovly account. Although your online video should be selling your brand in some way or another, you want to make sure that you are doing so as naturally possible. The more storylines you design the better you will get at conveying a natural message. As a general tip for those who are fairly new to creating stories and videos, we suggest constructing your story around 3 acts: the situation, the conflict and the resolution (or the beginning, middle and the end). The start of your story should focus on introducing your characters and setting the scene. The middle should highlight your character’s problem and finish up with your character finding a solution. You may want to think about adding a fourth stage to your story, that being a clear call to action. 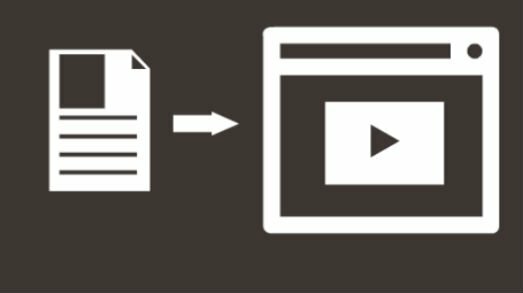 Here’s how you can learn more about ending your video with a call to action. By now, you should have a clear understanding of who your audience is. Powerful stories convey your message and grab your audience’s attention. Why do certain online videos appeal to some people more than others? 99% of the time it’s because they have tailored their video message to appeal to their target audience. Use your audience as the basis for your characters. Use their buying personas, personalities, age, location and fuse them all together to create a greater connection between your audience and your brand. Once your audience can relate to your video, their emotional connection to your brand will grow. Google Chrome perfectly combines their audiences persona and their video story characters. Take a look. Your story needs to be clear. Your story needs to be short. Your video needs to be engaging. You won’t achieve any of your campaign goals by trying to input as much information as possible when creating your storyboard. Make sure your audience understands your video and how your story relates in some way to your brand. Focus on one message at a time. Unlike in a theatrical movie, your marketing video can’t afford to lose your audience, even for a split second. We understand that narrowing down your storyline can be quite tricky, so we thought we would give you some additional help on how to focus on one message. What’s your story? Remember to take it slow and create a great story that conveys your message and represents your brand. What good is a storyboard without a finished video? Head over to the Moovly sign up page, register for free to get started on your animation video today! PreviousPrevious post:8 Powerful Emotional Triggers for Video MarketingNextNext post:Facebook Loves Video. Here is How to Take Advantage of it!